Photobox is a very light weight CSS3 photo and video gallery plugin with jquery. Which uses a lightweight image gallery and a modal window script which uses only CSS3 for silky-smooth animations and transitions . Photobox utilizes GPU rending, which can be completely controlled and themed directly from the CSS. The only image is a pre-loader animation for old IE. For the rest, no images at all! In case there was an error loading an image, a message is showen, which can be configured via CSS. Photobox can use custom transition elements. 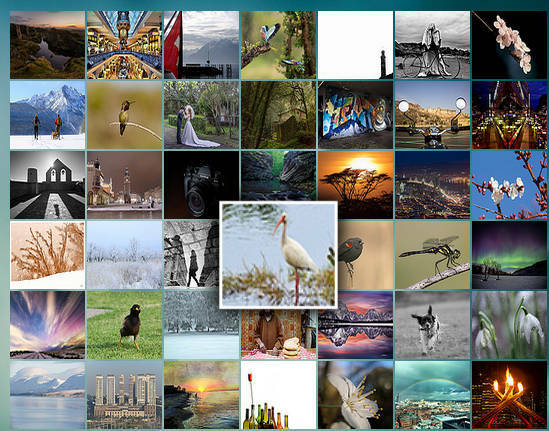 Also renders a very nice photogallery with css3 transitions.